If you are an Android user, it’s possible you may have received a gift purchased from the Google Store. Until recently there was no way to return such a gift, however that has now changed. Todays post will cover the steps you need to take to make a return of an unwanted gift from the Google Store. 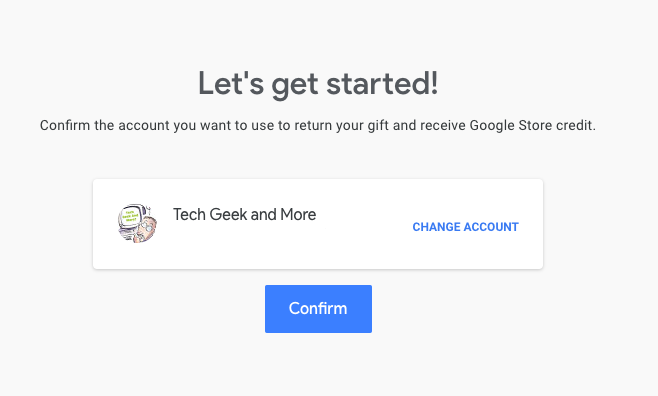 If you returning something step 1 – Go to google.com/giftreturns and sign in to the Google Store with a Google Account. I would say this is the Duh!!! part of the instructions. Step 2 – On the next screen you will be notified that for the return you will receive a credit at the Google Store that doesn’t expire, and is non-transferable. Just hit continue. Step 3 – In this step you will need the Order ID number of the gift and your zip code. Here is the catch, the person who knows the order ID number is the person who sent you the gift. So you will basically need to tell the person who sent you the gift that you are returning it. Hey at least you can tell them its being returned for store credit, and it isn’t just you wanting to score some cash. Ya I know this step may be a bit uncomfortable for some. 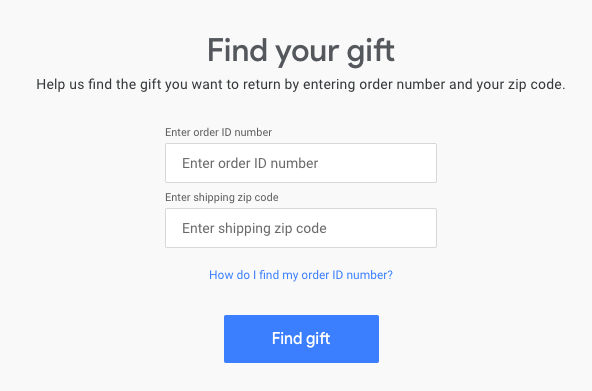 Step 4 – Once you entered the order ID and shipping zip code and you select Find Gift, on the next screen you will see all gifts ordered for you under that ID number. Just select the item(s) you are returning. Step 5 – You will get a list of all items selected for return to confirm. Just make sure everything you are returning is correct and select Confirm Return. At this point you will receive an email with shipping labels for your return. Package and ship each item in a separate box, and once Google received the items you are returning, they will credit your account the original purchase cost of the items you’re returning. And that’s how you do a return of gifts you received from the Google Store.